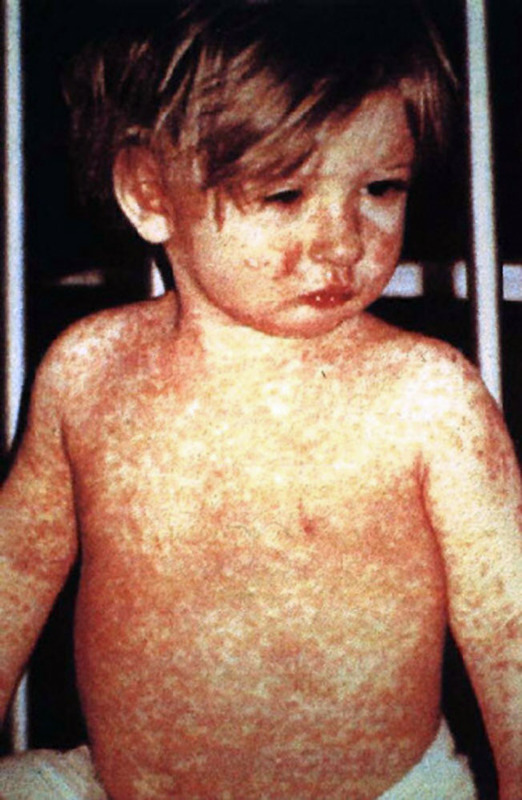 Measles is one of the most infectious illnesses know to mankind. One measles patient can infect 12-18 others compared to 1 flu patient infecting 4 others and 1/2-3 for Ebola(remember the fevered stories about the dangers of Ebola spread from just a few months ago?) 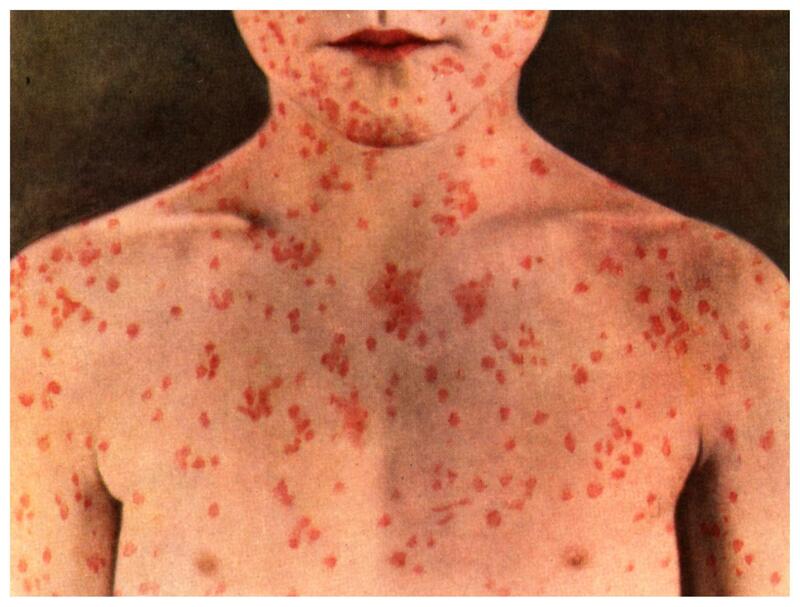 And measles is severe–1/3 of measles cases will result in serious complications like pneumonia or encephalitis. This is a polio ward from prior to the licensing of the modern polio vaccines. 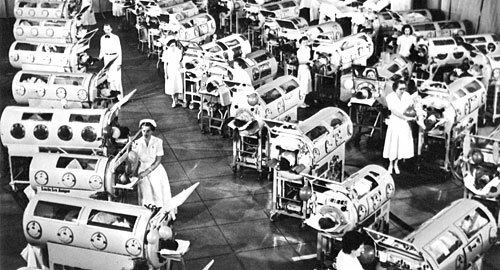 All of those children are in “iron lungs”–old style ventilators for those who cannot breathe due to paralasis of respiratory muscles and diaphragm. I have never diagnosed polio in my 30 year professional career as there have been no new cases in the Western Hemisphere since 1979. Feel safe in “Fortress America?” Given the spread of measles out west, maybe we shouldn’t. Concussions have been back in the news recently. A detailed discussion of concussion is far too involved to fully review in this limited space. Quick definition: if your child sustains a head injury with loss of consciousness or has subsequent persistent headache or neck pains, dizziness, memory problems, nausea, vomiting or fatigue, then he or she has suffered a concussion. No video games or social media. They can do that after return to all other life activities. No sports – that’s next to last. If it hurts, stop doing it and rest. Limit TV viewing, reading and homework. As above, if it hurts stop and rest. Perform these activities for shorter periods. Listening to music (not playing an instrument) or drawing may be ok. Your child may transition by attending school part time and gradually increasing duration in class. Allow child to rest head on desk or retire to nurse’s office when symptoms increase. The amount of rest necessary may vary with the challenge that class presents to your child. To ease eye strain, turn down computer screen brightness and use sunglasses or baseball cap to shield eyes from the bright light. Your child might need to avoid noisy rooms like the gymnasium, cafeteria, or music hall. Note taking may be problematic. Your child may record lessons, the teacher may give him or her the lesson notes, or a classmate might share his or her notes. Obviously, testing should be postponed until resolution of symptoms. The duration of the concussion symptoms varies with children and with the situation. We should keep in close contact to monitor your child’s progress through the process of transitioning back to his or her full life’s activities. Please contact me with questions, comments, or requests for future posts. Thanks for following. Since I’ve seen several cases of croup this week, I thought it would be a good time to say a word about that condition. Croup occurs mostly in children aged 6 mo-3 years. The problem localizes in the subglottic airway(below the vocal cords). Some but not all children have fever. The most common symptom is stridor–a harsh cough sometimes described as “barky”, “brassy,” or “seal-like.” Stridor often worsens when the child is upset and crying. Some children will also develop bronchospasm–wheezing–at the same time, but, again, not invariably. So, what can be done? Bronchodilators like albuterol may help with wheezing but not stridor. Croup is usually a mild, if uncomfortable, illness. Infrequently, a child’s difficulties may necessitate hospital admission for serial breathing treatments, IV fluids, or supplemental oxygen. However, please note that even in these cases, croup will usually resolve on its own in 3-4 days. Croup is almost always caused by viruses so antibiotics are of no use. Some children have spasmodic croup–recurring episodes of abrupt onset of stridorous coughing. This is more allergic in nature. The treatment is the same as above and the symptoms are usually very responsive to these interventions. Please forward questions or comments, and thanks for following.